Designed by busy parents FirstYear is the easiest way to track baby’s daily activities as they come along. No need for typing. No fuss with alarms. All events can be logged with two simple taps on your iPhone or iPad. View trends daily, weekly or monthly. Keep medical information and health questions handy at doctor visits. 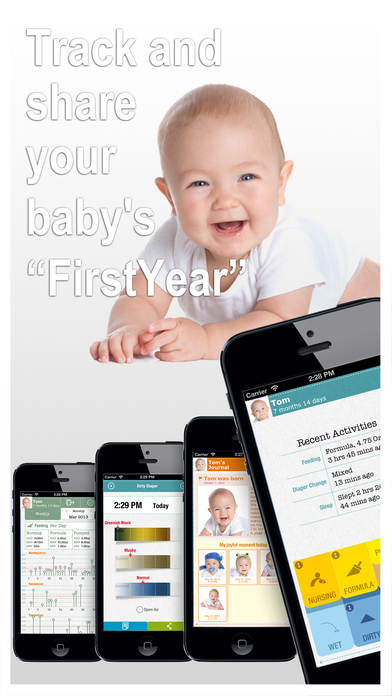 FirstYear is just what you need to monitor baby’s well being while keeping your sanity in check. 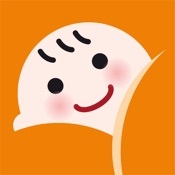 * Easily record baby’s feeding, diaper changes, sleep, activities, development milestones and sickness. * Record nursing & pumping sessions, manage feed with formula or expressed milk. * Record diaper changes. 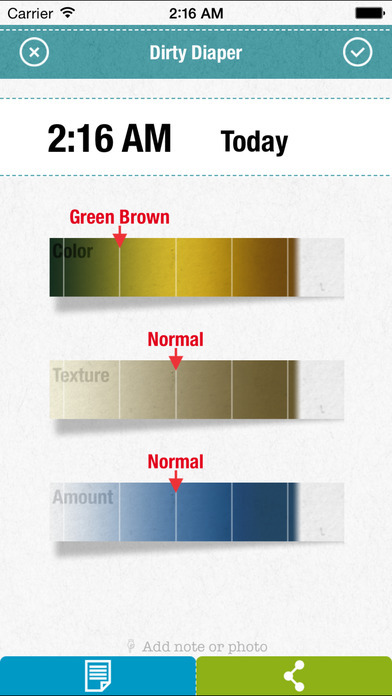 Identify dehydration based on pee color. Identify constipation or diarrhea based on color and constancy of baby’s poo. * Track baby growth with percentile reference to World Health Organization baby growth standard. * Record baby’s health issues - temperatures, symptoms, doctor appointments, medication and allergy reactions. Drop down questions when they come to you and bring them to your doctors next time you pay a visit. * Take a quick snapshot, or find an image from camera roll and put your thoughts into a scrapbook entry in the journal section. * Powerful search and index functions allow easy access to the record you need. * Allows for multiple baby profiles. Toggle among two or more baby records with one tap. * Use quick input mode when you are pressed of time. Record everyday activities like feeding, diaper change etc, with two easy taps and no typing required. * Screen formats tailored for both iPhone and iPad. * Well designed reports to review daily, weekly and monthly activities. Easily identify patterns, trends and abnormalities. * Nicely formatted reports for hassle-free email and printing. #4: Share baby’s progress with family and friends. * Set up automatic synchronization among different devices. Enable family members and caregivers to review and record baby activities when needed. * Share joyful moments with friends and family through Facebook, Twitter and email. #5: Easily back up records to online storage to enjoy peace of mind. * Store records on devices and online folders. * Restore data from online folder for the latest seven sessions. * 100% privacy and ownership of your data. FirstYear does not collect or share your data with others.